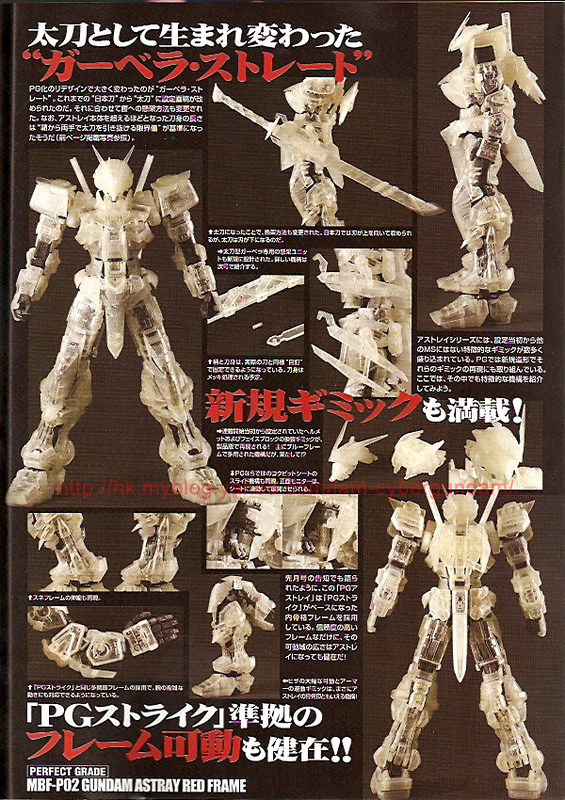 The Toyark › Gundam Model Kit News › New Images: PG Astray Red Frame PROTOTYPE! 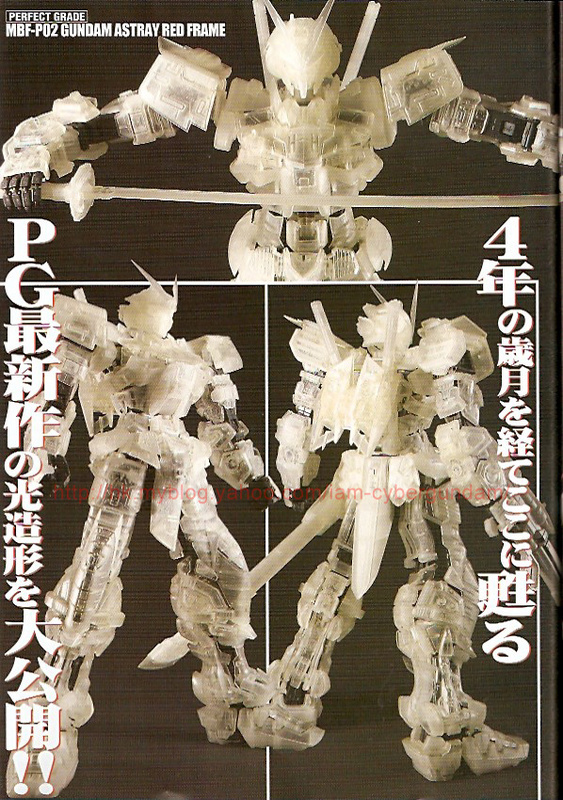 New Images: PG Astray Red Frame PROTOTYPE! 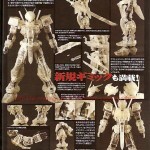 Hobby Dengeki shows new images of the Perfect Grade 1/60 Astray Red Frame model kit prototype! These images give a good idea of what to expect with regards to articulation, gimmicks, & accessories! 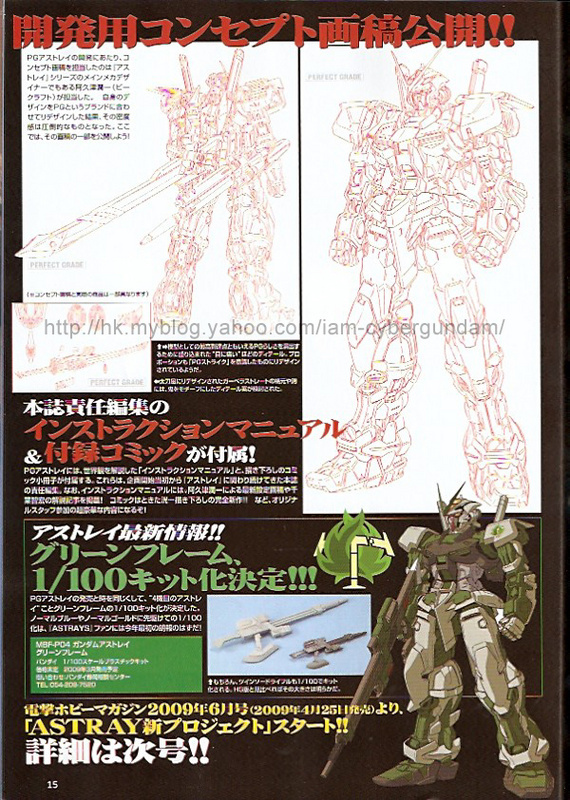 A side story of Gundam Seed, the Gundam Seed Astray:Red story has been told through a manga series, and a short OVA. 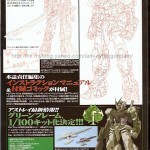 This model is the newest addition announced for Bandai's Perfect Grade model kit line. Click herer to check it out! I'm familiar with the series, and it seemed pretty cool. Astray was never one of my favorite models from Gundam Seed, but I appreciated it for its lack of superhero-esque extras(like Freedom Gundam). 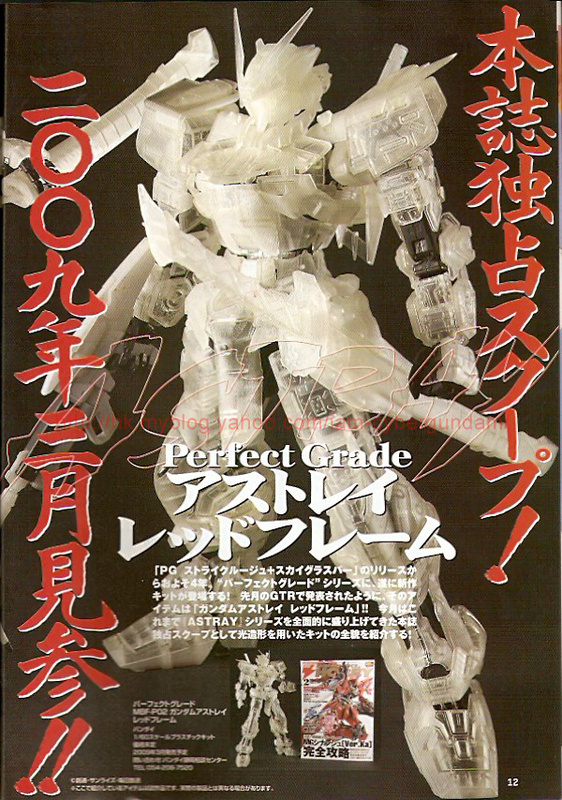 I must admit I'm surprised a perfect grade of Astray is coming out though. It doesn't seem like it's popular enough to be made at that scale. Then again, it does have like 10-15 different variations. Cool either way! I must admit I'm surprised a perfect grade of Astray is coming out though. It doesn't seem like it's popular enough to be made at that scale. Then again, it does have like 10-15 different variations. It had it's fans, such as myself, I liked the manga/OVA much better than the main SEED series. Lowe is a cool character, and there aren't many katana wielding(beam saber's don't count) Gundams outside of Musha Gundam. The PG ASTRAY Gundam was very flexible and has a great amount of articulation, I think the Red Frame version is going to turn out well. 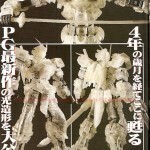 It might be the very first PG kit I build. I also preferred the Astray manga over the main series. Lowe is an awesome character and his Astray with its ever improving array of weaponry and signature katana stands as one of my personal favourite Mobile Suits. The fact Lowe wins his fights based on wits, ingenuity and the occasional "hey look what I threw together in my spare time" gizmo makes him so much more fun to follow than Kira or Shinn. Plus his attitude is a breath of fresh air. Whoever added the pic to my news post, thanks! I don't know about anyone else, but I can't read "Astray" without mentally editing it to say "Ashtray". Man, I wish i had the skills to build a Perfect Grade. 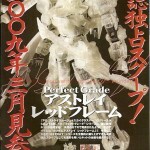 Let alone a master grade. So as much as I love Astray i'm still gonna have to pass.